For the last few weeks, the last thing I think about, before I go to sleep, is called Big Eau Pleine. It’s a park up in Marathon County, Wisconsin that I’ve frequented over the years. While I’ve ridden my bike there, it isn’t what I would call a mountain bike destination. 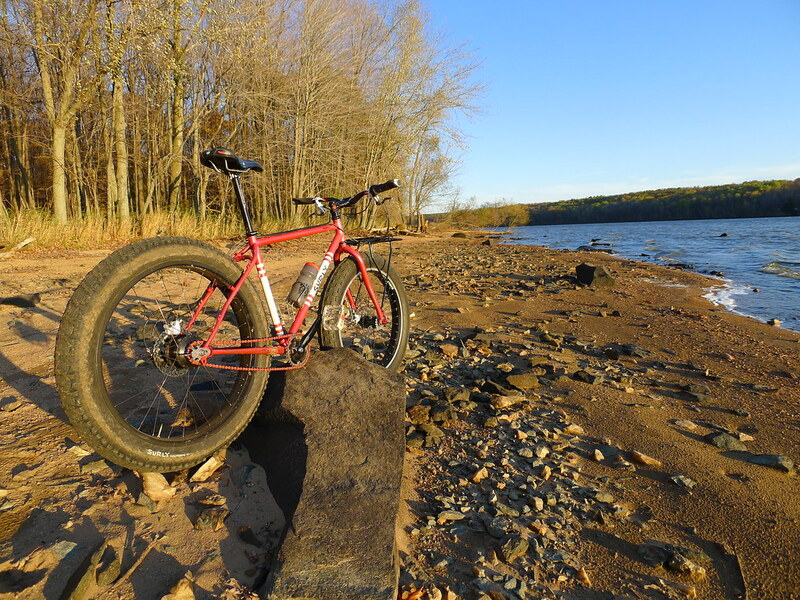 Big Eau Pleine (BEP) is a penninsula that juts out into the BEP Reservoir and recently has me thinking and dreaming about its beach and snow riding possibilities. What wouldn’t be considered a very exciting MTB ride has my imagination completely engaged for more than one kind of Fat-bike adventure ride! That’s a very important aspect of fat-bike rides…one doesn’t have to head to a mountain bike mecca to get a full ear to ear grin on a fatty. 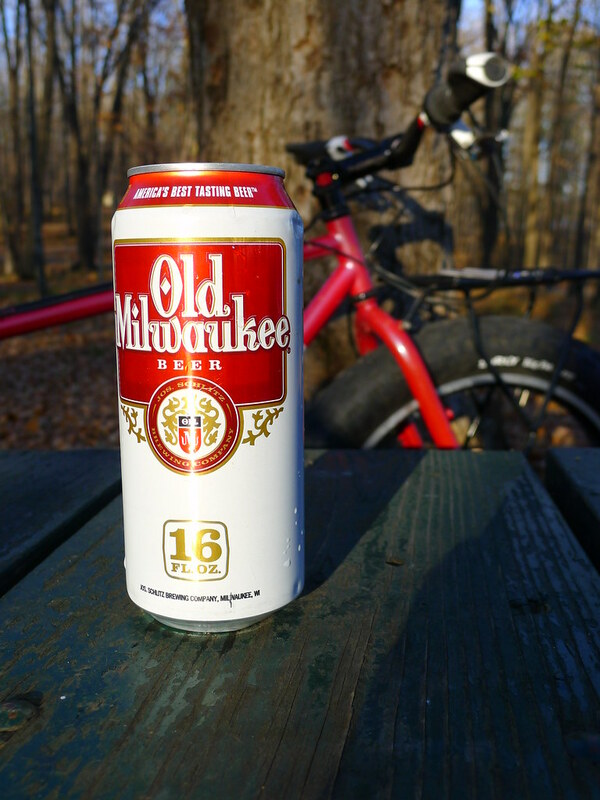 Back in Camp, with the sun casting long shadows, I busted out a cold one for some post ride – pre-dinner refreshment! Not just any beer……according to the can – “America’s Best Tasting Beer”. Somewhere back in the 70’s I had my first beer ever and it was (to the best of my recolection) an Old Milwaukee! Much to my delight, it hit the spot. Good cheap beer and more film for my imagination to play over and over in my head……next time I’ll need to add some gnomes into the story. The Big Fat Larry reports will continue as will the dreams of Big Eau Pleine. i just put a BFL mounted on a Clown Shoe w/Cutouts on my Mukluk… It rides great… Floats over anything; fluffy dry sand… Muck… Loose gravel. OOops… just noticed my typo’s….